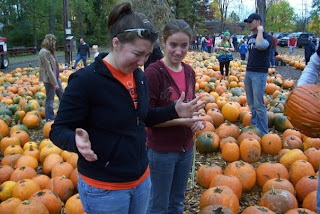 Saturday my roommates and I went to a nearby pumpkin patch at a local farm. Bird poop fell out of the sky and landed on my hand. This is the after picture. Isn't it lovely? !